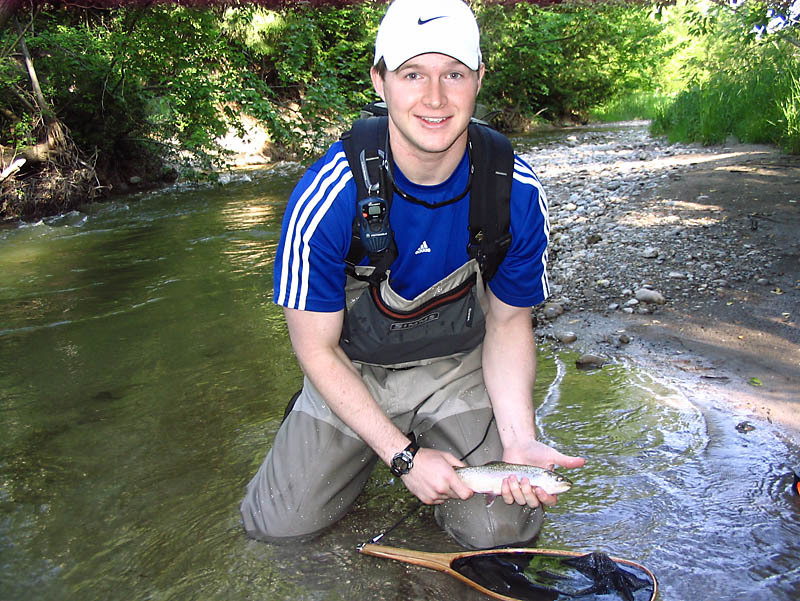 We are quickly finding that a large amount of time spent ‘fly fishing’ is just finding a spot to go fishing! Time after time when we stop at potential fishing locations we are greeted with ‘No Trespassing’ or ‘Private Property’ signs. We finally found a location to wet our lines on Duffin’s Creek this June day and when we did, we caught some fantastic fish that we continue to talk about on a regular basis! Check out the pictures below! This was Steve’s largest resident rainbow trout of the year! The way it rose out of the water to strike the elk hair caddis dry fly when skating the fly across the tail of the run was unforgettable! It missed on the first attempt, which got the heart pumping and the adrenaline rushing…round 2, her attempt was successful and it made for a great day on the water. 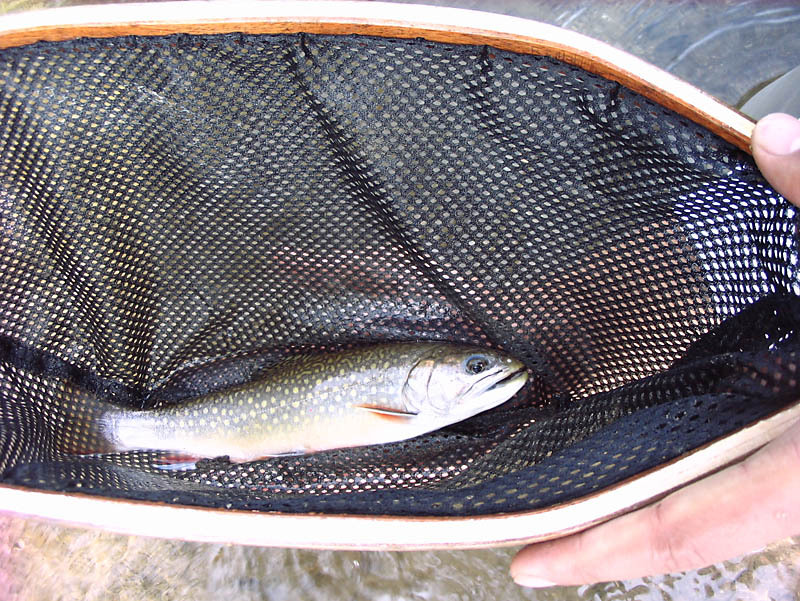 Walter’s first ever brook trout, caught on a Royal Wulff dry fly. What a beautiful fish! This was a great day on the river! We’re learning so much yet there’s so much more to know! We were fortunate to land some great fish today. 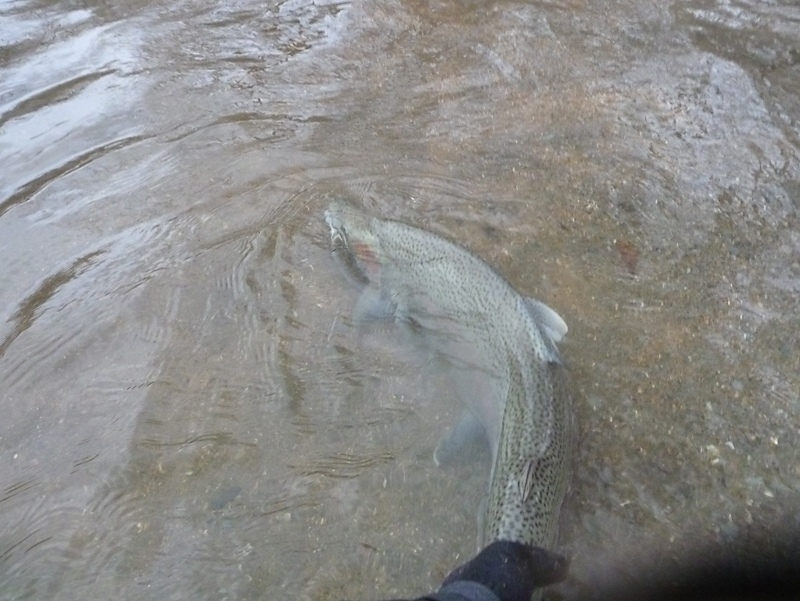 We missed a few good ones as well, but those are some of the challenges we face when fishing. FAC Yeah! 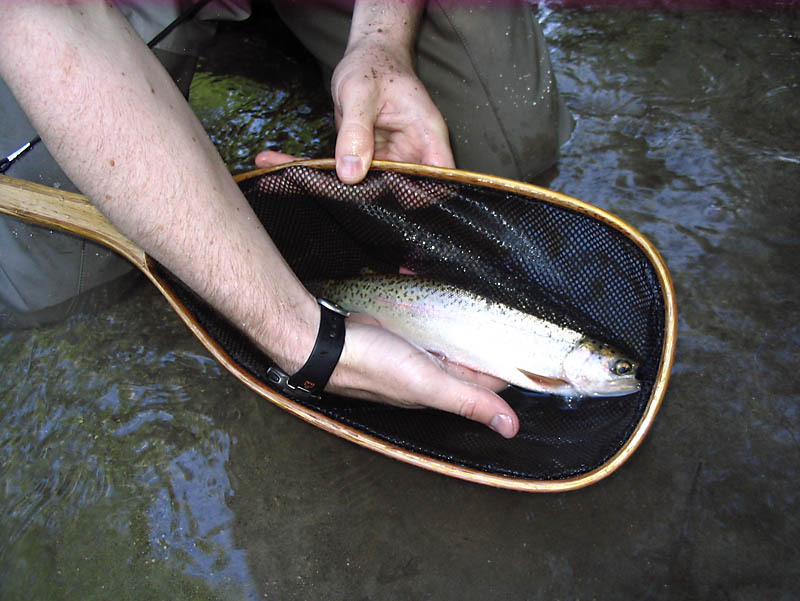 We have spent a lot of time listening to others’ suggestions about where to go and where not to go fishing regarding everywhere from complete river systems to specific pools along the smallest tributary, but to be honest we have had better luck exploring the river systems ourselves. Worst case is you get out there and enjoy a good hike. It’s part of the enjoyment (and frustration) of fishing, right? 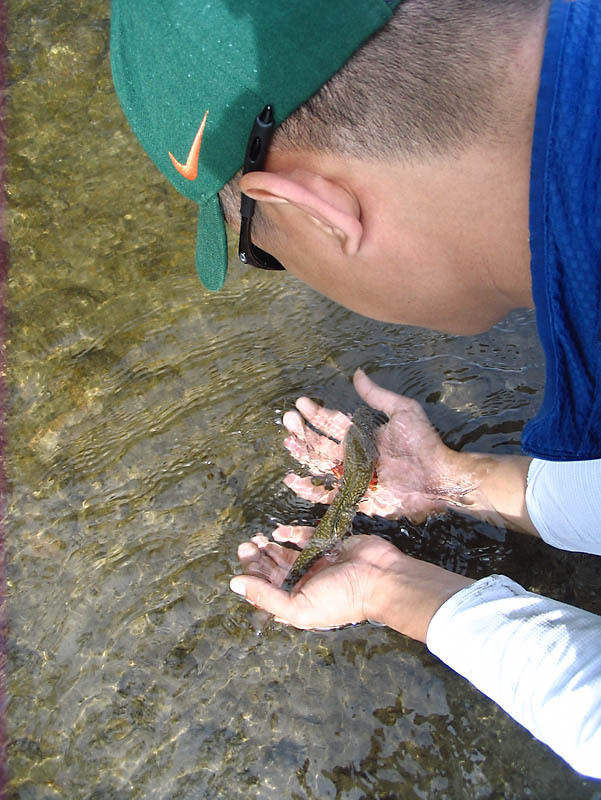 Paying close attention to the necessary requirements for fish – food, protection, and shelter – you will quickly find out where to stick around and where to pass by. Fac Yeah! Congratulations, Adam! Sounds like you had a great day on the water! Perhaps we’ll see you out on the river one day! Fac Yeah!